*A non-member may train 3 times before becoming a member. Please add $15 to each price. Please inquire about membership to the Asheville Racquet Club. 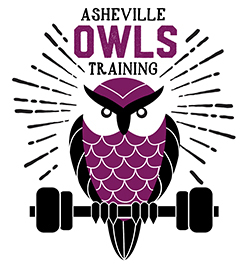 Please note: Personal training sessions that are not rescheduled or canceled 24 hours in advance will result in forfeiture of the session and a loss of the financial investment at the rate of one session. Group Training is offered in designated sessions, meeting weekly for 60-minute sessions. Groups consist of 4 well-matched people. Please inquire by clicking here and I will contact you promptly with current details and availability.